From Boulder’s highest peaks, the amazing landscape that has shaped the Rocky Mountains presents itself in two different worlds. To the east, the land is a flat, tawny expanse of sprawling prairie that meets the sky in a perfectly horizontal horizon. In contrast, western views look out onto the snow-capped mountains of the Front Range, a collection of summits that alternate between massive, rounded domes and harsh, jagged spires. Boulder’s foothills serve as altars between these geographic marvels, transitioning from the high plains to the first uplifted contours of America’s most famous mountain range. Here are 10 hikes that showcase the beauty and diversity found in Boulder’s wilderness. At 8,150 feet, Green Mountain is one of a trio of peaks that extend above the city’s famous Flatiron rock towers. There are several trails to Green’s summit with the most popular routes starting at Gregory Canyon. The Amphitheater Trail begins with an abrupt stone staircase that bypasses the namesake rock alcove before heading up through pine forests, where semi-open views preclude the amazing 360° views from the summit. 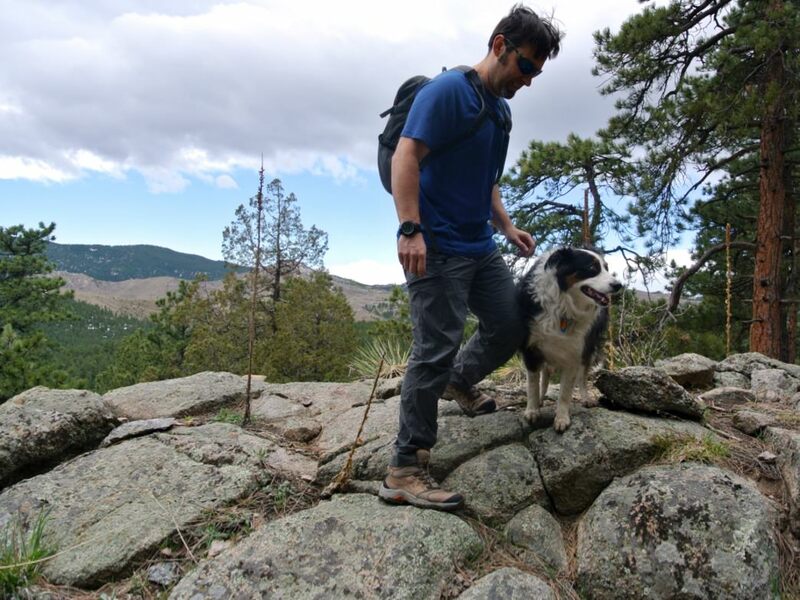 Also starting from Gregory Canyon is the Gregory Canyon Trail, which follows more open rock outcrops than the Amphitheater and remains scarred from the 2013 floods that reshaped many of Boulder’s trails. A sturdy stone cairn topped with a brass plate identifying the distant summits is mounted on the summit boulder. 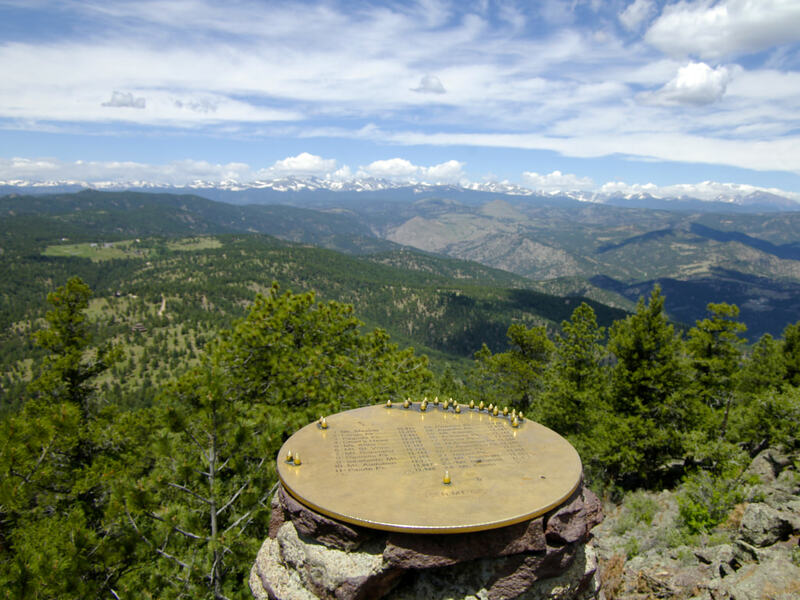 There are two fantastic routes up the 8,460-foot Bear Peak, both starting from the NCAR (National Center for Atmospheric Research) parking lot—they can be combined to form an excellent loop. From NCAR, head to the Mesa Trail then up Fern Canyon. This trail follows the shadowy, steep canyon and is made more mysterious by the dark caves and askew boulders that line the trail. After a steady climb, the iron-rich spine of red rock that makes up Bear Peak’s exposed summit comes into view. A brief but thrilling scramble leads to the top, where boulder’s most open summit views await. Descend via the West Ridge Trail through the spooky remnants of a burn zone that fades into lush alpine meadows before reconnecting with the Mesa Trail, closing the loop. 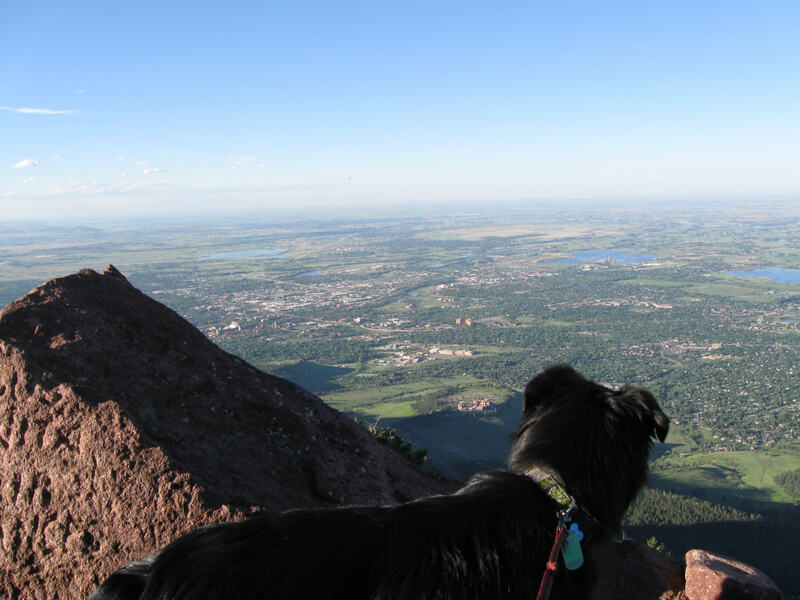 South Boulder Peak is the highest point in the Boulder Mountain Parks region (8,549 ft.) yet isn’t as popular a hike as its neighboring summits of Green Mountain and Bear Peak. Fewer crowds means that hikers often have the summit boulders to themselves. Views to the east are hindered by pine trees but are open and glorious to the west. There are also pockets of wild raspberry bushes near the summit. Linking Bear Peak and South Boulder peak only takes about 30 minutes and the two mountains share a common trailhead at Shadow Canyon/South Mesa Trailhead. 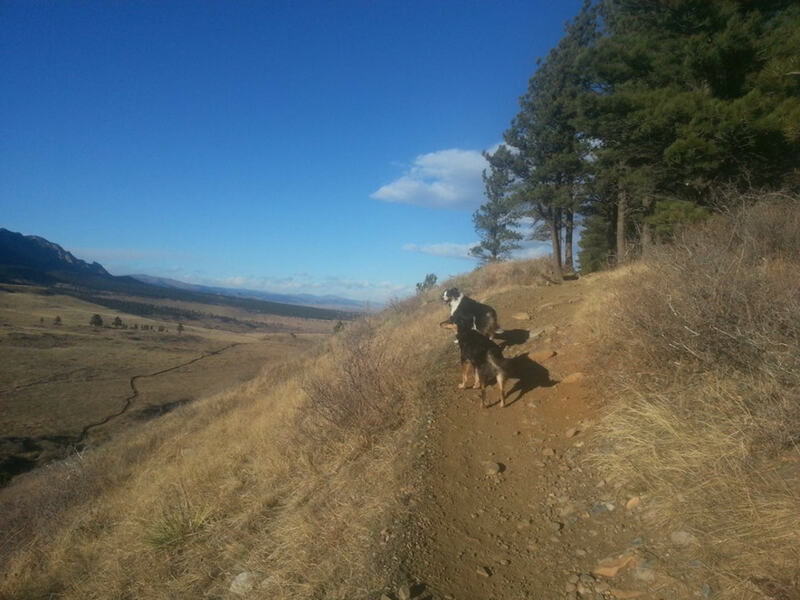 For a robust day, hiking all three mountains (South Boulder-Bear-Green) is a classic adventure both as a loop and as a point-to-point from South Mesa Trailhead to Gregory Canyon. 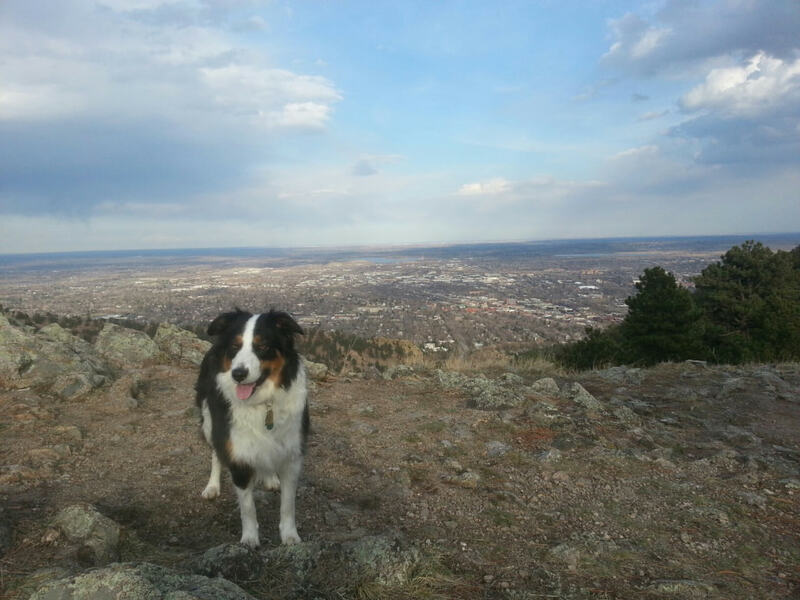 If Boulder were to designate a hometown mountain, Sanitas would be it. It can be a busy place on summer weekends when hikers, joggers, canine companions, and photographers converge on the modest 6,843-foot peak. The addition of the smoothly-graded Lion’s Lair Trail in 2014 from the western approach in Sunshine Canyon has helped disperse foot traffic on the mountain (not to mention adding one of the best trail running paths in the city). The east side trails from Linden Avenue and Mapleton Avenue are steep, sturdy, and scenic. The access is easy, the views are spectacular, and a round-trip hike can be done in just over an hour—or longer if you want to make a loop. 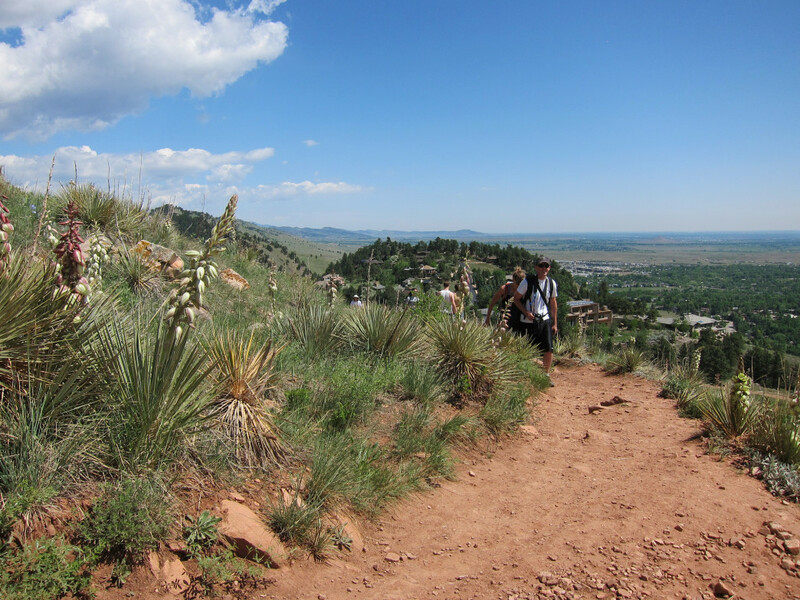 Settlers Park, Boulder’s Red Rocks Park, and nearby Pearl Street are all a short distance from Mount Sanitas. Rather than offering airy summit views, Marshall Mesa’s eastern locale affords it some of the very best, wide-open views of Boulder’s iconic landmarks from the vantage point of the plains. Along its easy, rolling trails are optimal vistas of the Flatirons to the west. To the north, views of the city and Boulder Valley sprawl to the foothills and off in the far distance, Longs Peak looms. 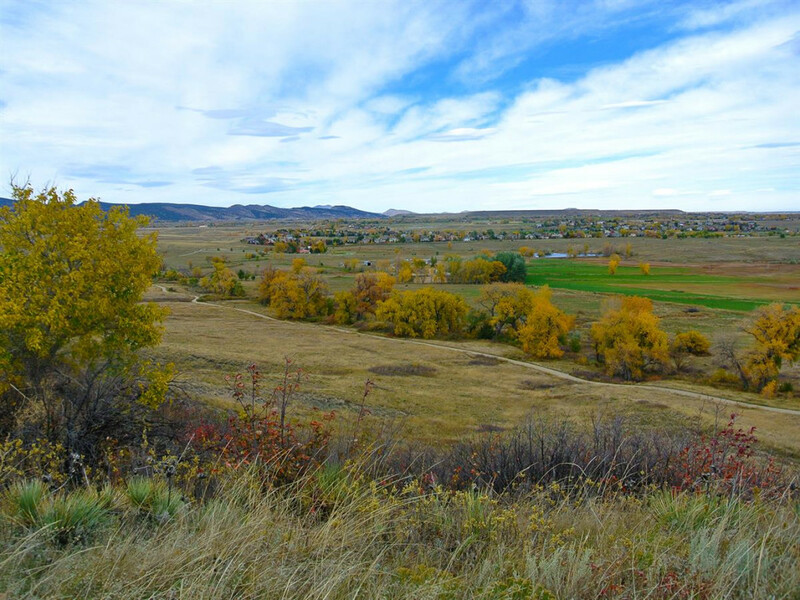 Marshall Mesa is a peaceful place to admire Boulder from afar and it can be accessed by two main trailheads off CO 93: Marshall Mesa Trailhead and the Greenbelt Plateau Trailhead. Keep an eye out for the local coyote population! Located on the outskirts of north Boulder, this three-mile loop harkens back to the city’s agrarian roots. The Sage Trail circles the Boulder Valley Ranch, a still working farm in the middle of open space. Views of the city to the south are blocked by a small mesa, making it feel like you are much farther away from the commotion of urban life than you actually are. Old cottonwood trees line the irrigation ditch that opens up to the grassy meadows, where cows and horses meander. Those looking to increase their mileage can walk via the Eagle Trail and dirt roads to Boulder Reservoir or detour up to the mesa itself. 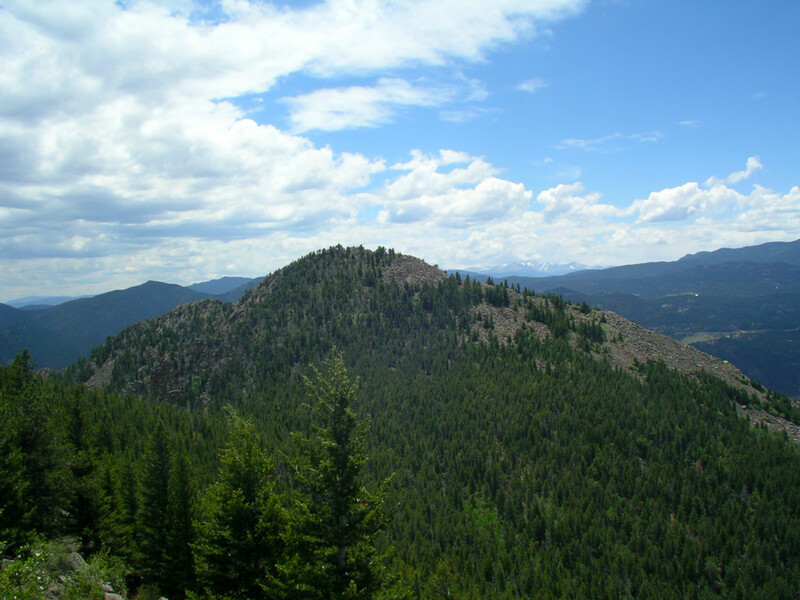 Sugarloaf Mountain is roughly 20 minutes from downtown Boulder up Boulder Canyon in the unincorporated part of the county. The round-trip hiking mileage is a mere two miles from the parking area at the start of the Switzerland Trail but the views from the 8,917-foot summit are well-worth a visit From this western vantage point, the trio of high peaks in town (Green-Bear-South Boulder) appear as pine-covered hills. Sugarloaf’s summit is rocky and barren but still inviting. 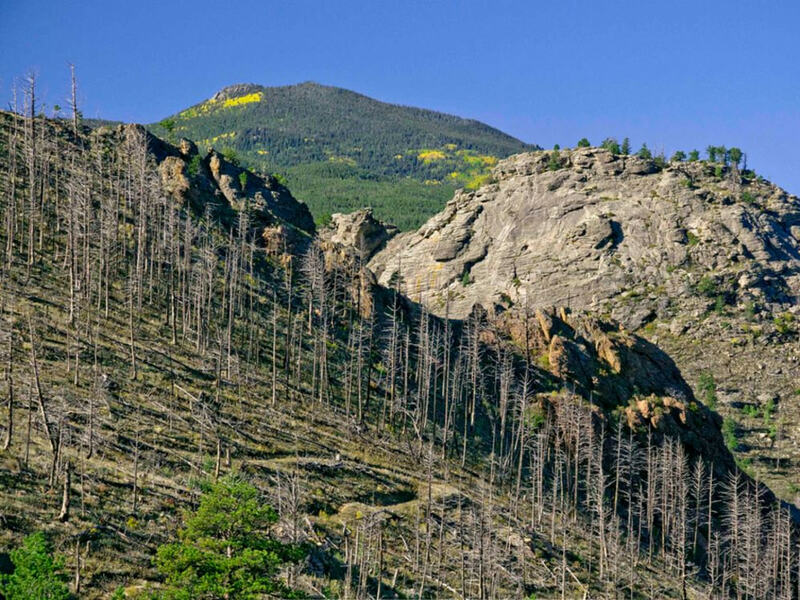 Views into Four Mile Canyon and Boulder Canyon reflect the 2010 wildfires that scarred the landscape. Dowdy Draw and Flatirons Vista are connected by a trail that starts near the base of Eldorado Canyon and eventually connects (via an underpass or crossing the road) to Marshall Mesa. Dowdy Draw sees less traffic than the neighboring South Mesa Trail, though some of that is in the form of mountain bikers. Nevertheless, a hike starting at Dowdy Draw treks through grassy meadows and climbs up to a spacious pine forest, eventually looping to the Flatirons Vista Trailhead on highway 93. A round-trip adventure is about six miles, though there are other trails to connect and detour along. This area is especially pleasing during the winter months, when there are fewer hikers and the wildlife (coyotes, bear, and even mountain lion) are out and about. Boulder’s version of Red Rocks isn’t the famous outdoors music theater, rather, it’s a nifty outcrop that is a short 0.2 mile hike from the Centennial Trailhead. The rocks are fun to scramble on and offer nice views of the city to the east. 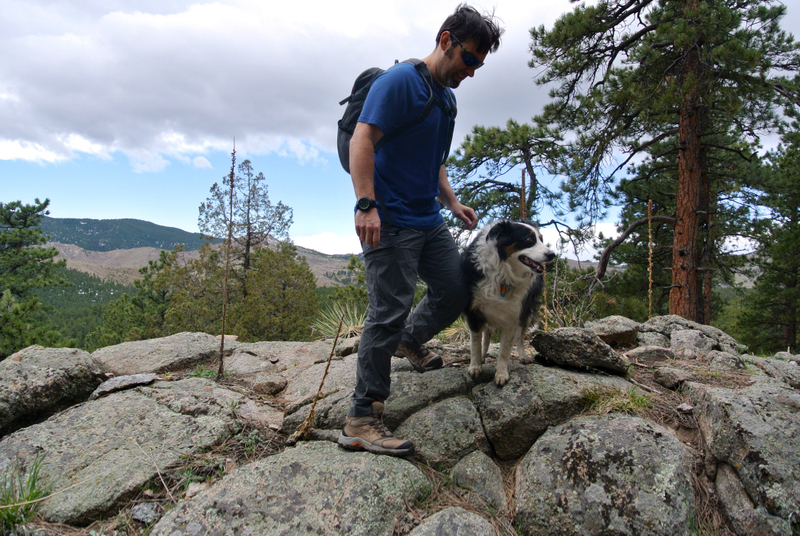 Sharing the same trailhead is the Anemone Trail, a lesser-used trail that heads to the top of the 6,423-foot Anemone Hill, a sister peak of sorts to the more popular Mount Sanitas. Due to damage from wildfires in 2013, the access trails have been intermittently closed as crews re-rerouted the hiking paths but as of 2016, these trails are all reopened. Walker Ranch is a 7.6 -mile loop located about 20 miles west of Chautauqua Park up and over Flagstaff Road. The trail can be hiked in either direction and starts near the highest point of the route. Descend to South Boulder Creek before encountering a steep, 200-foot tall stone staircase near the halfway point of the trail. There are burn zones, open meadows, and quiet forests to explore along the way. It’s also a good place to see the western faces of Bear and South Boulder Peaks. When doing any of these hikes, be sure to have proper footwear so you can safely navigate the terrain and keep your feet from blistering. Check out La Sportiva hiking boots at REI for a comfortable option.